Sometimes, the hardest people to think of gifts for are the most special people in your life. We’re sure you’d agree: You really want to make it count, and maybe because you know them too well, you could have a ton of ideas and it’s confusing to pin down just one. Or, in the case of your parents or family members, their answer when you ask them what they want is always “Kahit ano, pwede na,” which isn’t really helpful. Here’s an idea that might help: Have you seen “The Ethical Hierarchy of Gift Purchasing” meme on social media? Inspired by the Hierarchy of Needs, it shows that Memories from experience days (i.e. trips and vacations), event tickets, and memberships make the most ethical gifts, and buying material presents should be a last resort. Not only does it make thinking of gifts for every person on your Christmas List easier, both you and the recipient will also feel better about the gifts. This proves that the gift of travel is the best thing you can give family and friends, especially those who need an escape (well, who doesn’t?). 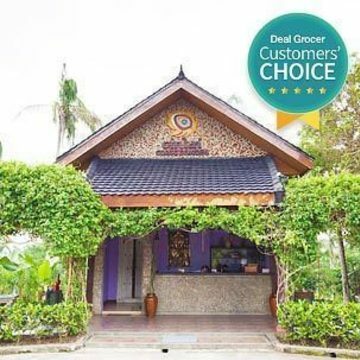 We rounded up Deal Grocer’s best getaway deals with tips on the perfect recipients for each so you can finally complete your Christmas “shopping”—while also firming up your travel bucket list for 2019. 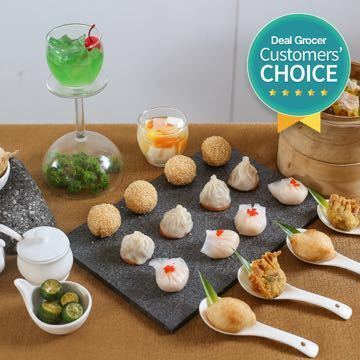 Score amazing discounts (up to 54% OFF!) 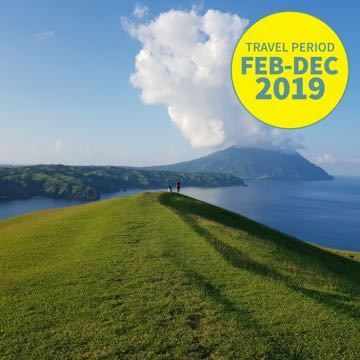 on top hotels and resorts around the country, from Batanes and Baguio to Palawan and Cebu, all redeemable from January to December 2019. Find your favorite destinations below, and book that trip with your loved ones! 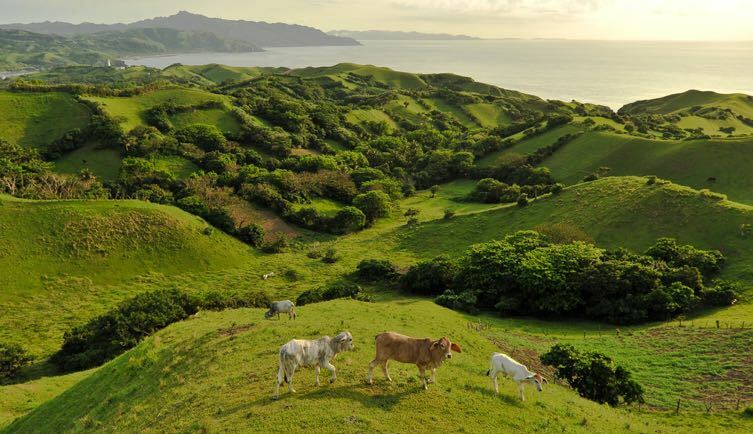 If your sister (biological or from another mother) is mending a broken heart, going through something, or just “wants to find herself,” a trip to Batanes often proves to be just what the doctor ordered. With beautiful beaches and breathtaking surroundings, it serves as a soothing balm to one’s troubled soul. 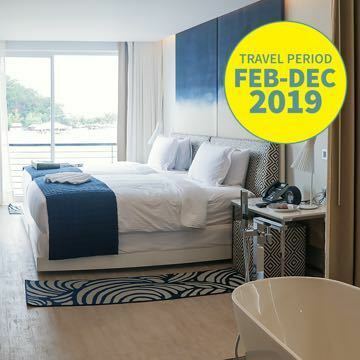 A 4D/3N Stay in a Twin Occupancy Room at Bernardo’s Hotel with full-board meals and tours for the two of you in 2019 is the best thing you could possibly give her this holiday season. One of the island’s newer stays with only eight guest rooms, Bernardo’s Hotel has direct access to Chanarian Beach, where you and your sis can spend a peaceful day just lazing around and exchanging life updates while admiring the panoramic view of surrounding mountains. 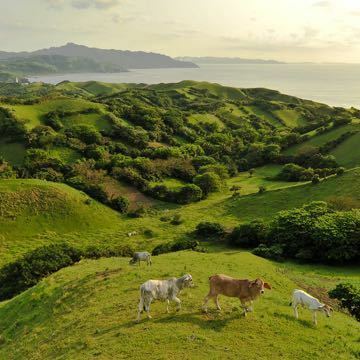 When she’s up for it, explore the island’s many attractions, like the Basco Lighthouse, from which you can view Batanes’ famous rolling hills and majestic landscape at sunrise or sunset; and the historical yellow-colored Basco Cathedral or Santo Domingo Church, among other wonders. When you return to your clean and comfortable home away from home, binge on the island’s best brick oven pizza from the hotel’s own restaurant Casa Napoli. Both of you will return to the metropolis feeling brand new. 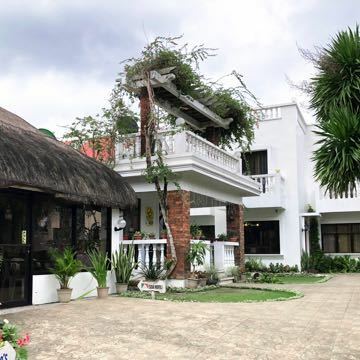 Treat your family to a fun road trip to Ilocos Sur and book an overnight stay in a spacious, immaculately white 2-Bedroom Villa for 4 at the Santorini of the North, Vitalis Villas. 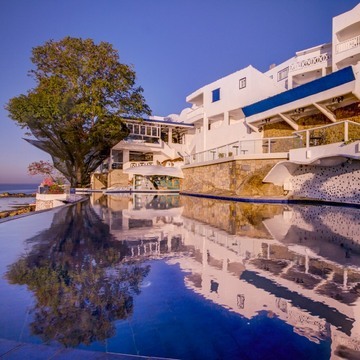 Perched on a hill, offering unrivaled views of Santiago Cove’s famous pristine coastline, this beautiful all-white resort with royal blue accents will make you feel like you’re all vacationing in the popular Greek destination. 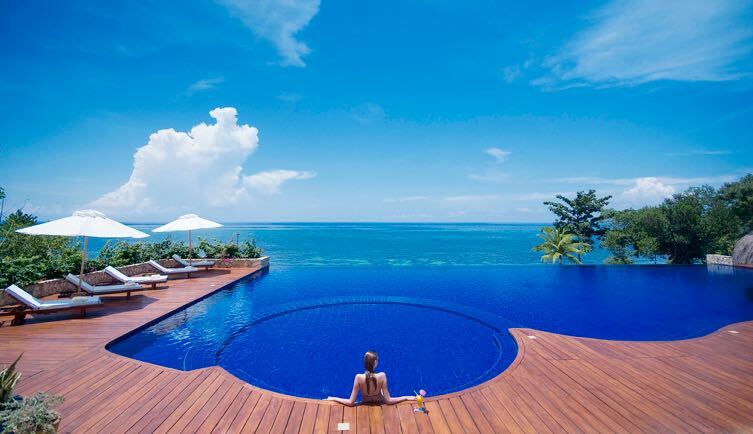 Spend quality time with the whole family while lounging by the infinity pool, basking in the sun by the white beach, engaging in a variety of water sports, or dining on a mountain cliff overlooking the endless blue sea. On the drive back, stop by Santa Maria Church, a UNESCO World Heritage Site that’s one of only four Baroque period churches in the Philippines. Hit two birds with one stone and treat your favorite busy couple (which can be you and your Hon) to an Overnight Stay in a Superior Forest View Room for 2 at The Manor at Camp John Hay, dubbed the “most beautiful hotel in Baguio.” The spacious and rustic Forest View Room has a veranda that opens up to the most amazing views of the lush forests surrounding the famed Cordillera Mountain Range, which you can admire with your special someone as you cuddle up and enjoy the cool mountain air. 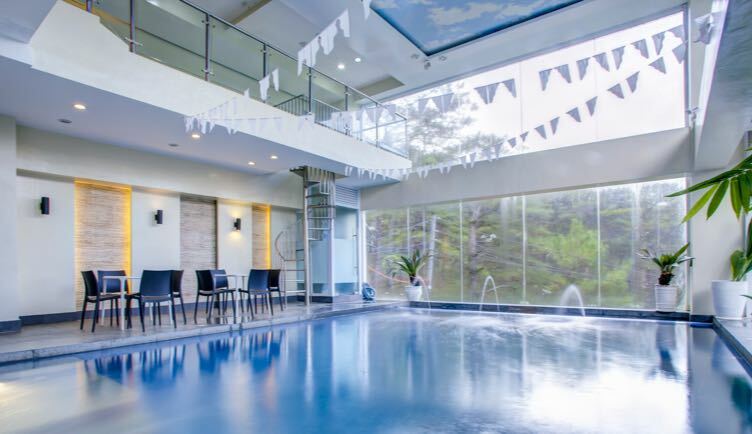 The Manor is centrally located within Camp John Hay, which offers several dining, shopping, and sightseeing options. Not that you would even want to leave the hotel, which is home to Le Chef, one of the best restaurants in the area that faces the well-manicured gardens, headed by renowned Chef Billy King of Le Souffle. 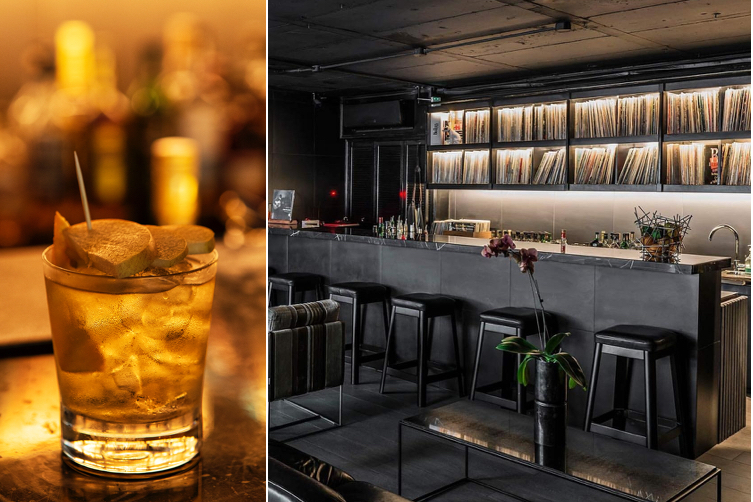 There’s also The Piano Bar, where you can cozy up and sip cocktails while listening to soothing lounge music. 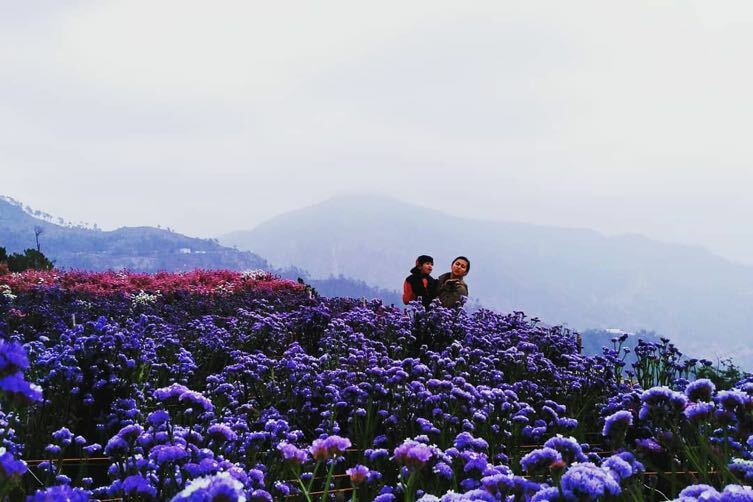 Do you and your best girl have time for only a quick Baguio trip? Avail of an Overnight Stay in a Deluxe Room for 2 at the popular Le Monet. You’ll both feel right at home amidst the hotel’s sophisticated interiors and rooms decked with modern amenities. Pack your swimwear so you can experience the heated indoor pool! Named after the Impressionist painter Claude Monet, Instagram-worthy spots abound in the hotel, thanks to its artful decor. While there, indulge in delectable dining options from The Malt Room steakhouse or the Filling Station, a row of restaurants right next door; relaxing spa treatments at the in-house Viva Verde Spa (the Warm Bamboo and Stone Massage sounds lovely in the cool weather); and some retail therapy at the shops within Camp John Hay, where it’s conveniently located. Don’t worry about skipping a workout, as the hotel has a fully-equipped fitness center. 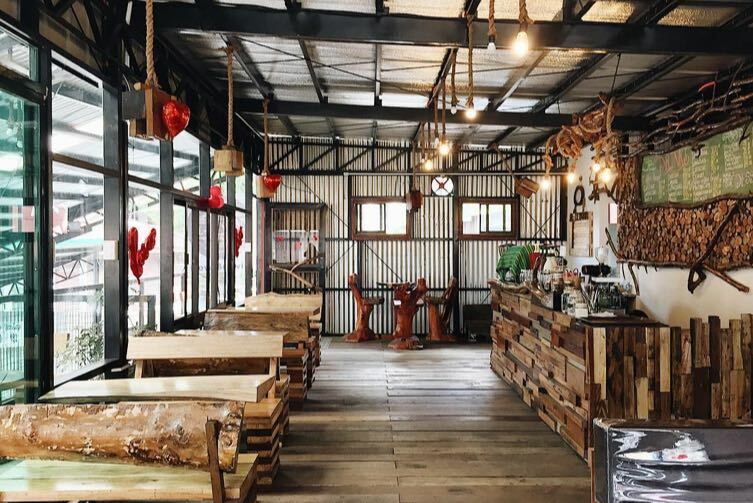 Before you head home, you may want to squeeze in stops at Baguio’s ukay-ukay spots as well as the must-visit Ben Cab Museum. Some of us may have been cared for by our parents’ siblings or other family members while they worked hard for our future, maybe even abroad. 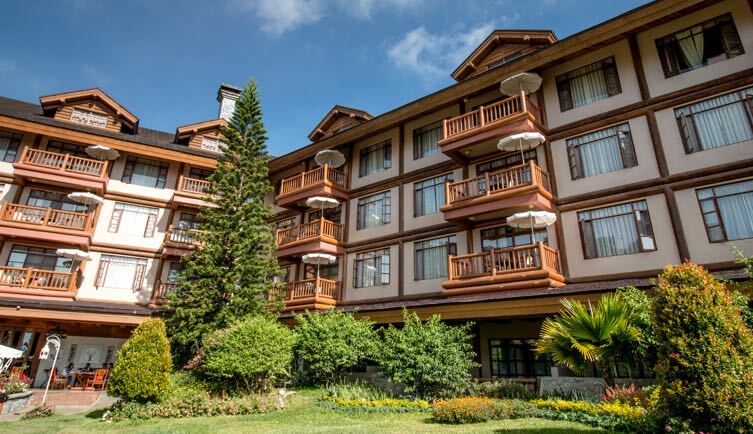 Show some appreciation for your doting aunt and/or uncle by gifting them a stay at Grand Sierra Pines Baguio. 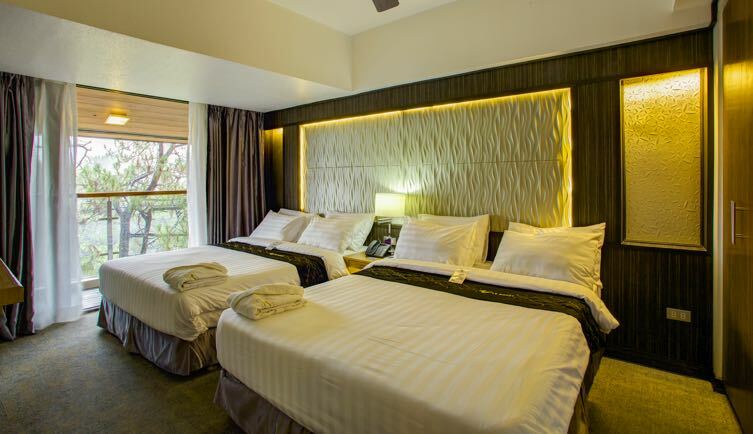 The Superior Room for 2 with Breakfast deal is valid daily, so they can pick the best time to take a breather in the City of Pines they’ve always loved. 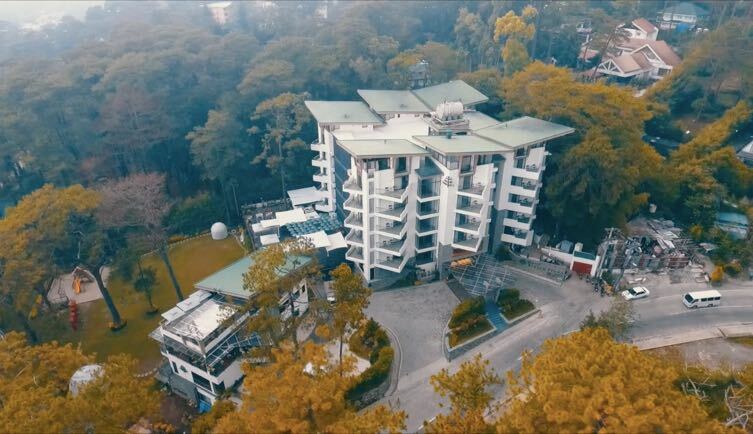 Perched on the quaint side of Baguio, the Cordillera-inspired boutique hotel will allow your tita and tito to relax and commune with nature, with facilities built around towering pine trees. They can unwind at the library and perhaps get a massage at the in-house spa. One of the notable features of this hidden gem is its Art Gallery, with exhibits that guests could appreciate and draw inspiration from; perhaps they can find a piece for their own art collection. For more nature and culture appreciation, Baguio’s major tourist attractions are a few minutes away, like Burnham Park’s trails lined with a variety of flora and benches overlooking the park’s man-made lake; as well as the Botanical Garden, filled with flowers and plants and considered a spiritual ground by the Igorots who believe that the spirits of their ancestors dwell in this lush landscape. 43 North Outlook Drive cor. Arellano St.
Is it a challenge to think of what to give the special men in your life, like Brother Dear? 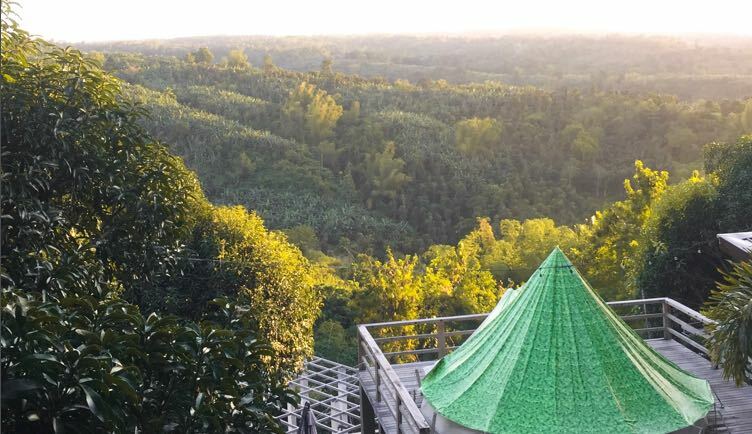 Here’s something we’re sure he’ll love: an Overnight Stay in a Casita for 2 with breakfast and more at Mount Purro Nature Reserve, a sprawling 36-hectare forest sanctuary that rests on the foothills of the Sierra Madre Mountain Range in Antipolo, Rizal. Whether he’s the active type or more laid-back, he’ll enjoy his stay in this eco-park that seems a world away yet is so conveniently close to the metro. While it has fully equipped facilities, still warn him that there’s no air-conditioning, Wi-Fi, or television to allow him to disconnect completely. There’s plenty to do anyway, like swim in the infinity pool with spectacular views of Mount Purro, navigate the rope courses and exciting obstacle course high in the treetops, and traverse the 4KM Laudato Si Hiking Trail that weaves through verdant landscapes and ends with awe-inspiring views of the mountain range from the grotto at the top. He can end the day sitting around a bonfire with his companion—pack him some marshmallows or even hotdogs to roast! 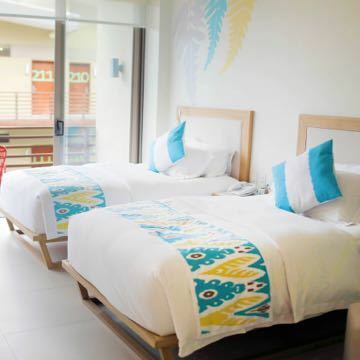 Give a young couple with toddlers a much-deserved break—even if they need to bring the kids—by way of an Overnight Stay for 2 in a Deluxe Room with Breakfast Deal at Hotel Kimberly Tagaytay. 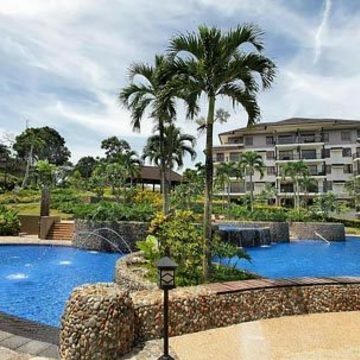 A quick drive from the city, this consistent TripAdvisor Travelers’ Awardee’s sprawling property is a popular destination for families because of its child-friendly amenities set in verdant surroundings on the quieter side of Tagaytay Ridge. A young family won’t run out of things to bond over without even having to leave the hotel! Both kids and adults will be entertained by the full-size swimming pool and kiddie pool, children’s playground, game room, vegetable and herb gardens, and animal farm that’s open for petting and feeding—a social media staple. If they’re old enough, the kids can even experience horseback riding at the Hotel Kimberly farm. This Christmas is the perfect time to give back to your beloved lolo and lola who have spoiled you silly from the time you were born up to now that you’re a grownup. 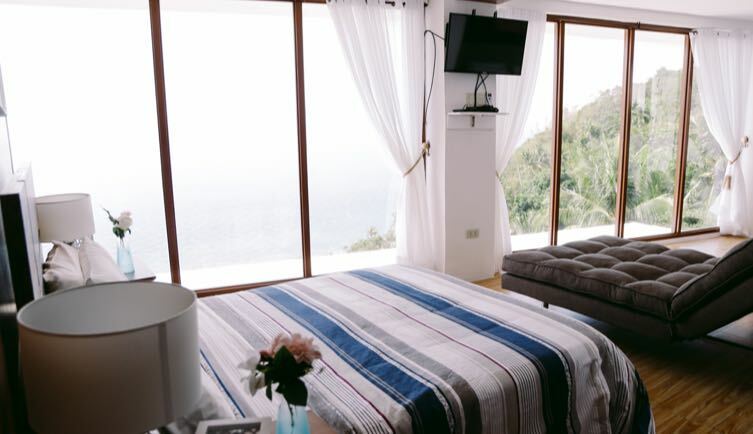 Treat them to a stay in a Tranquility Garden Room for 2 with Set Breakfast at the charming T House Tagaytay, which is just a short drive from the city so they won’t get too tired from the trip. And if they happen to have trusty furry companions, let your grandparents bring them along to stay with them at this pet-friendly bed and breakfast (for a minimal fee). This serene hilltop escape is ideal if they need a change of scenery and some peace and quiet, especially if they dwell in the bustling metro. Each clean and cozy room features a unique, minimalist design inspired by nature’s elements: fire, earth, and water. They can spend the day lounging in one of the well-kept pocket gardens with a good book and a soothing cup of tea at hand. Lolo can even get some exercise in by wading in the outdoor swimming pool while lola rests in one of the daybeds or sofas. Book them a soothing massage at the in-house spa, too! At night, they’ll be tucked in with Good Night Tea and cookies for a more restful slumber. The following morning, they’ll wake up to Tagaytay’s cool breeze, the smell of fresh herbs, and a lovingly prepared set breakfast for 2, with ingredients locally sourced from nearby farms and the hotel’s backyard, to complete their bliss. 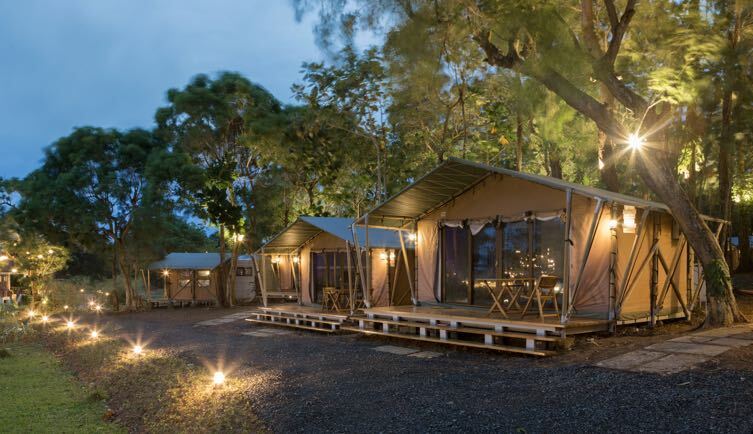 Whether you’re the head of a team or would like to give something special to the awesome people who have your back at the office, the Overnight Glamping for 6 deal at much-buzzed about Nayomi Sanctuary Resort would make the perfect group gift at a reasonable price. It’s guaranteed to bring your office family even closer, as you let your hair down and engage in activities you never get to do at the workplace. Plus, there are plenty of photo-worthy nooks for taking countless digital memories! If you want to schedule it as your 2019 mini team building activity, you’ll be glad to know the place is conducive for this kind of productive bonding. 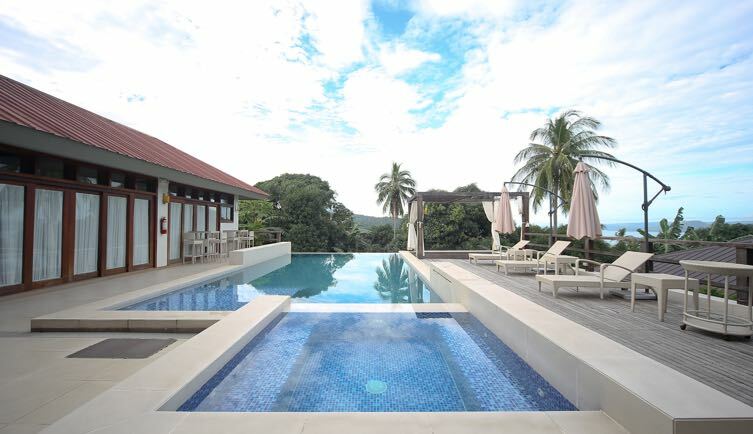 Nayomi Sanctuary Resort is one of Batangas’ most well-loved gems, just a 90-minute drive from Metro Manila. The sprawling grounds boast modern amenities like two swimming pools, a bar, and a restaurant, among others, as well as an excellent view of Taal Lake—a lake within a volcano that’s surrounded by another lake and one of the most famous bodies of water in the Philippines. A close relationship with your cousins is something you need to nurture as you grow older and get on with your own lives, even if—or especially if—you are no longer the ragtag squad who would sleep over at each other’s houses and try to steal the cookies from the jar when lola wasn't looking. You used to play in the sun all day, never getting tired of each other’s company, so why not throw it back to the good ol’ days and do the same thing in a new setting by booking an Overnight Stay in a Deluxe Room for up to 4 at Casa Amara? 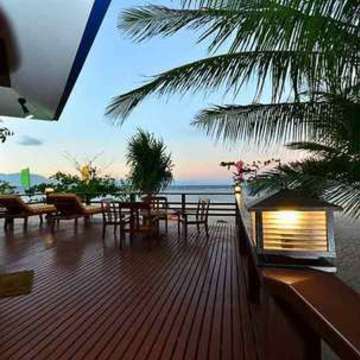 At this house perched on a hill in the more secluded side of Laiya, Batangas, you and your crew of cousins can wake up to stunning views of the sea and sky, and catch the picture-perfect sunrise from your very own roof deck. As the day unfolds, take your pick from either lounging around in the glorious infinity pool, or taking a 10-minute walk to the charming private beach to lay your blankets out on the sand and catch up on what’s been going on with one another. Continue the conversation at the house’s main dining area, which resembles an outdoor cafe where you can savor a cup of coffee or dig into any of the delicious, carefully prepared dishes served by the resort (full-board meals are mandatory and must be arranged with Casa Amara for a fee). 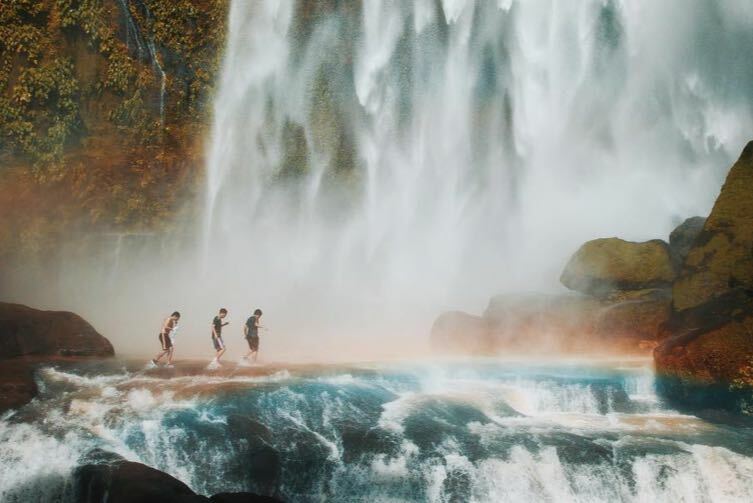 Everyone’s in love with Bali—either as a dream destination or a favorite place they’ve visited and plan to revisit over and over. Give yourself or someone dear to you the closest to a Bali experience one could have without leaving the country using the Deluxe Villa for 2 Deal with Breakfast at Cintai Corito's Garden. 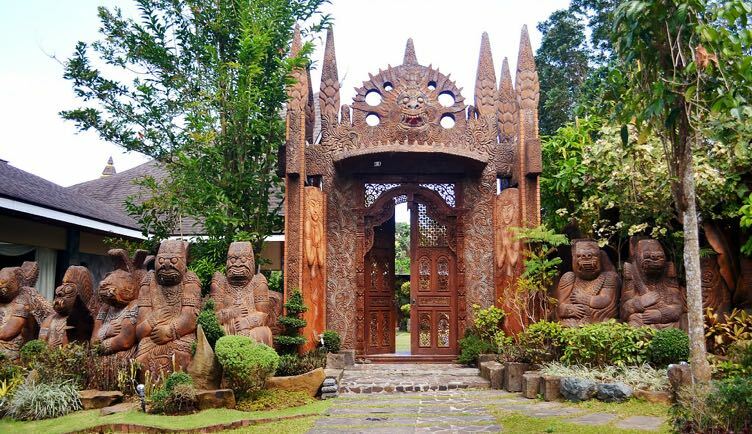 With hand-carved and painted stone walls, authentic Gebyok embellished wooden doors, Joglo hand-carved ceilings, metallic black floors, and sprawling lush greenery, this Batangas gem will make you feel like you hopped on a plane to Indonesia for an exquisite getaway, when in reality, it’s only a couple of hours’ drive from Manila. Every single one of its 18 villas boast of modern and comfortable amenities set in the midst of nature. 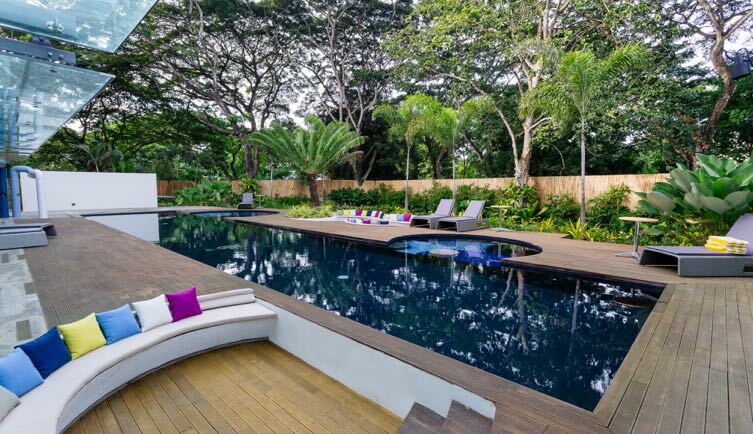 Each of the four different swimming pools is surrounded by lush, colorful gardens with various seating areas for lounging and basking in the sun after taking a refreshing dip. The in-house Abadi Restaurant features a unique carved wooden ceiling and Indonesian chandelier that give it a homey feel, while a massage at their in-house spa with scenic views and a quiet atmosphere will complete one’s Bali-themed vacation. Occasionally, the resort also holds wellness activities such as yoga and meditation sessions at the open area of its Napas Pavilion. To round off one’s interaction with nature, various animals like deer, horses, geese, peacocks, bantam chickens, and donkeys freely roam around the resort for kids and adults to pet and feed. Get gifts for your parents, siblings, titos, titas, cousins, nephews, nieces, and grandparents in one go when you avail the Overnight Stay in Suites with Attic + Breakfast for 10 deal at Club Balai Isabel. Not only does this group gift save you time and money, imagine how thrilled they’ll be when you tell them your 2019 family bonding is on you! All they need to bring are snacks and food to cook, since the ultra-spacious 2-storey Suites with Attic has its own private veranda and full-service kitchen with a complete set of utensils. 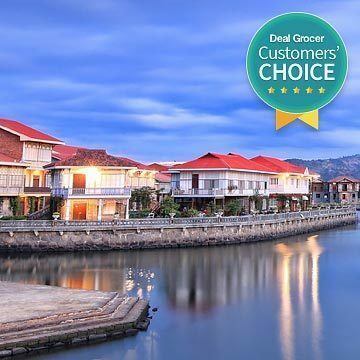 Club Balai Isabel is a lush 14-hectare property by the beautiful Taal Lake, with unparalleled views of the famous Taal Volcano. Just a short 15-minute drive from Tagaytay, it’s also an ideal jump-off point for treks to the world’s smallest volcano. A well-known spot for family vacations, it’s fitted with amenities and facilities for all sorts of activities for everyone. 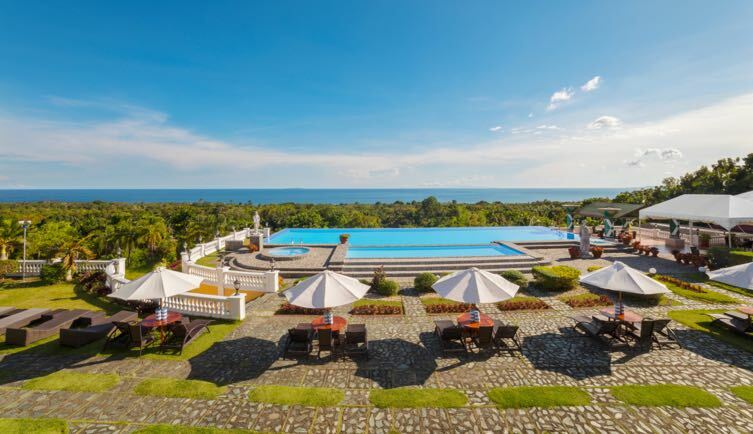 There are several swimming pools around the resort, like the spectacular infinity pool, the Terraza Pool, the spacious 500sqm Kumintang Pool, and the secluded garden Talisay Pool. You can play basketball, tennis, volleyball, billiards, and other team games. If that’s not enough, give the 5-level obstacle course a go with the whole family. 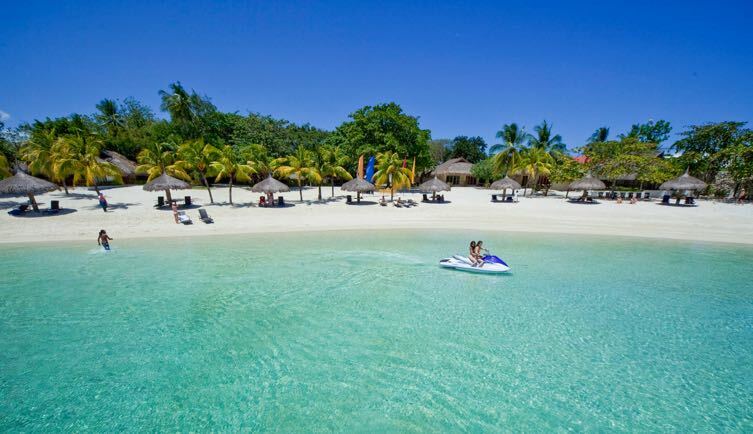 You can also enjoy water activities like Flyfish, banana boat rides, jet-skiing, kayaking, or pedal-boating for a minimal fee. The resort also boasts of a recently added Aqua Park, an expansive inflatable water park floating off the shore of Taal Lake. It features giant water slides, trampolines, and even a human cannonball launcher for a truly exhilarating experience! Was Puerto Galera in Oriental Mindoro one of your favorite beach destinations back in college? Taking your barkada back to your summer playground will make the perfect group gift, so avail of the 3D/2N Stay in a Heritage Room for 6 deal that includes breakfast, transfers, and more for three days and two nights at Coco Beach Island Resort. 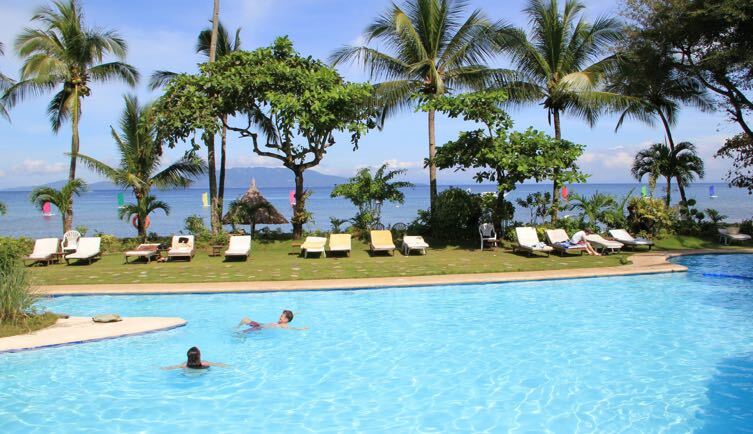 This vast 10-hectare resort sits in the heart of Puerto Galera, bordered by crystal clear seas, beaches lined with coconut trees, and serene hills. Aside from cozy facilities crafted from all-natural materials and three restaurants, an amazing 101 Activities in and out of the resort await your crew! From a hanging bridge and large swimming pools to a tennis court and other sports facilities, its amenities ensure you’ll never get bored in your nature-inspired getaway. There’s even a coconut soap making facility that’s open to tourists—maybe you can pick up some as presents. Want to visit other beaches? White Beach, Sabang Beach, and Talipanan Beach are close by. Puerto Galera is also famed for having some of the most fascinating dive sites and coral gardens in the Philippines, so snorkeling and diving are a must. If your family is the type to fly off to exotic destinations, surprise them with a 3D/2N Stay in a Hilltop Bungalow for 4 Persons at the Two Seasons Coron Island Resort & Spa, which already includes breakfast and roundtrip transfers. Suited for a family of 4, the well-appointed Hilltop Bungalow is just steps away from a stunning shoreline. It boasts lavish interiors and comes with a television, iPod docking station, mini bar, and spacious bathroom. Sparkling turqouise waters, powdery white sand, and lush foliage surround the eco-friendly Two Seasons’ signature 5-star comforts with world-class amenities like game rooms, an in-resort spa with unique treatment locations like a mangrove forest villa, and naturally shaped adult and kiddie pools that weave around trees and gazebos. Cited by TripAdvisor as one of the best hotels for families in the country, expect to enjoy a variety of water activities such as diving, catamaran, banana boat, wakeboarding, and the resort’s HydroBob submersible scooters, a state-of-the-art diving equipment that Two Seasons Coron introduced first in the country. Snorkeling on the calm and clear waters of the clam and turtle sanctuary right in front of the resort is always a good idea. You can also ask the resort’s helpful staff to arrange an island-hopping tour to popular Coron attractions like Kayangan Lake for hiking and swimming, and Twin Lagoons where sea water and fresh water meet. Maybe you’ve booked a trip to a secluded island near Coron but would like a more convenient stay at the main Coron Town where island-hopping adventures begin. 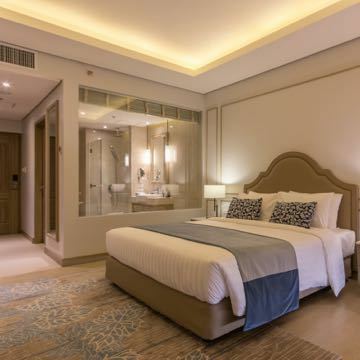 Make the Overnight Stay in a Bayview Room for 2 at the Two Seasons Coron Bayside Hotel deal yours! Conveniently located within a few steps from the pier, you can easily take a boat from here to other popular Coron attractions like Siete Pecados Marine Park for snorkeling; Barracuda Lake, where freshwater and saltwater mix for a one-of-a-kind swimming and diving experience; and Sangat Wreck, a World War II era Japanese shipwreck surrounded by shallow waters that make it easy for swimmers and snorkelers to inspect. Also a short tricycle ride away are Maquinit Hot Spring, Coron’s top hot spring; Mt. 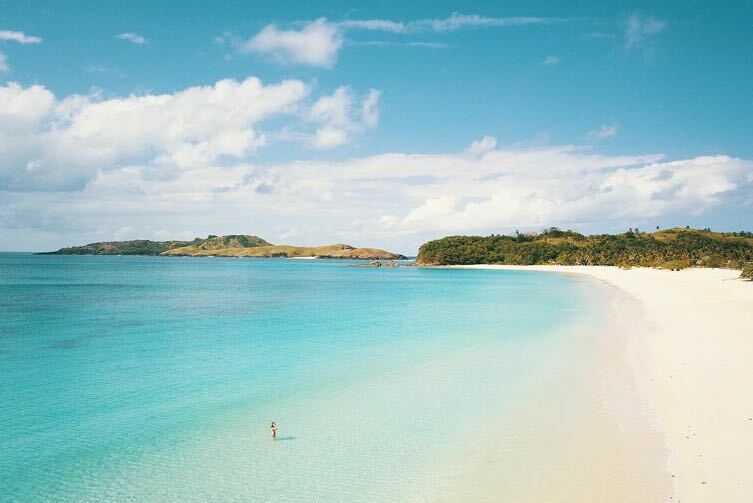 Tapyas, the island’s popular hiking spot; and Coron Town’s local night out hotspots. 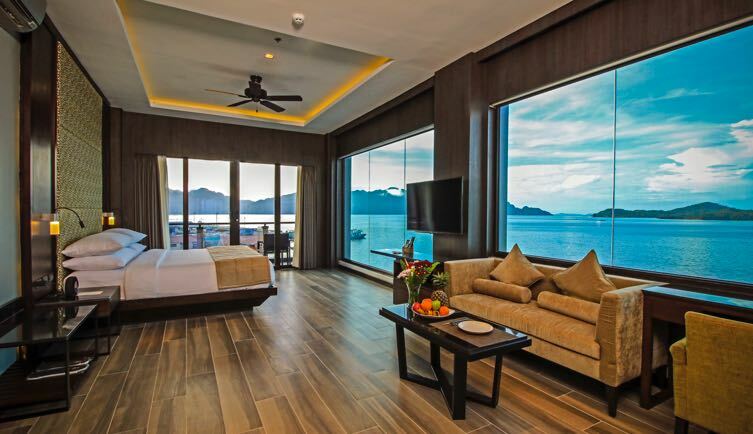 One of the newest accommodations in Coron Town that opened in 2016, it offers luxurious amenities with contemporary features, exceptional service, and breathtaking views—you can catch the glorious sunset and sunrise without leaving your room. The resort’s large infinity pool was even designed to offer fantastic angles and views of the bay for all your Instagramming needs. For an extra romantic time, the deal comes with complimentary access to the Skydeck Jacuzzi Lounge atop the hotel so the two of you can relish a nice, warm soak in the hot tub with a panoramic view of Coron. And while breakfast at Baya Resto Lounge comes with your stay, don’t forget to also sample their famous four-cheese pizza and sizzling lengua sisig for lunch and dinner. Have you and your best friend decided to become more eco-conscious? 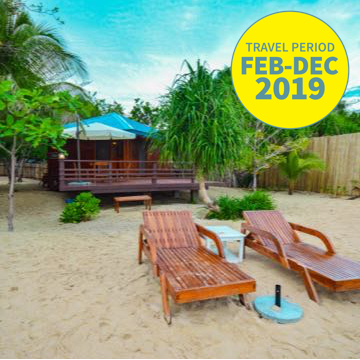 Then for your 2019 vacation, commit to that decision and snag the 3D/2N in a Casita for 2 Deal at Arena Island, a four-hectare ecotourism destination nestled atop vibrant coral reefs teeming with a dazzling array of fish and surrounded by kilometers of white sand. Using solar panel units for lighting, the eco-friendly island reduces its carbon footprint by as much as 6,000 liters of diesel fuel. They have water catchment as well as proper garbage segregation and disposal systems. Arena Island is also known for its commitment to marine life preservation, most notably to the Pawikan or Philippine Sea Turtle, with sanctuaries you can visit. 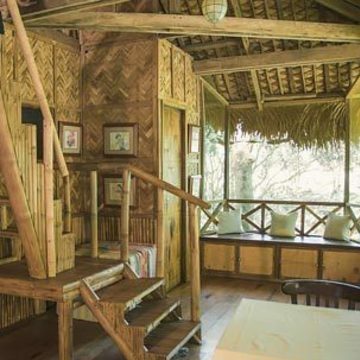 Complete with full-board meals, transfers from Puerto Princesa, and more, this beach getaway has everything you could possibly need while ensuring you’re traveling sustainably. 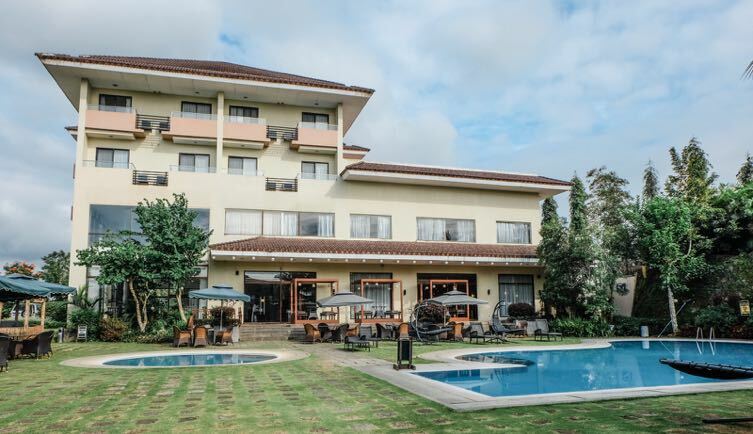 A stay at Astoria Palawan is an experience in itself, boasting the same brand of well-appointed facilities Astoria is known for, while stepping it up with eco-friendly elements like the use of electric trikes. Built on a 5-hectare mango farm, the seaside resort blends sustainable furnishings with vibrant slices of color—as you’ll see in your cozy and spacious Deluxe Room. And while the beachfront is currently undergoing improvements, you can enjoy the recently opened Palawan Waterpark by Astoria using your complimentary access for 4. The first of its kind on the entire island, it houses exciting attractions like a surf pool, tube floater river ride, giant and spiral water slides, a marine sanctuary, and more. 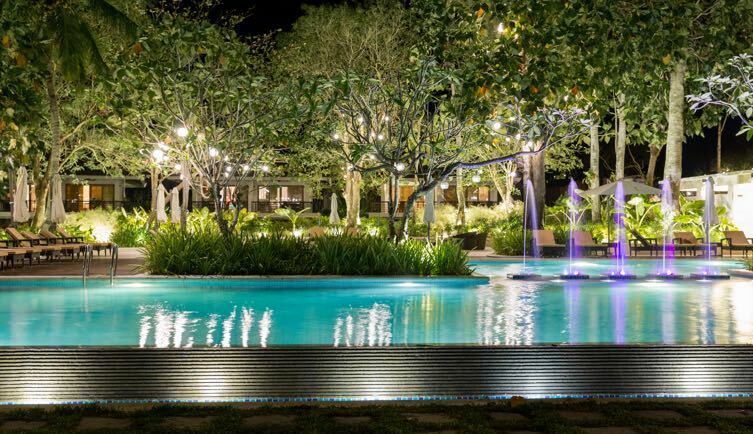 The resort also has a 35-meter infinity pool with prettily-immersed daybeds where you can sip cocktails while gossiping about each other’s love lives. Plus, it’s near Honda Bay, the jump-off point for island-hopping tours that the resort can arrange for you for a fee, so you can enjoy the beaches at the likes of Pandan Island, Starfish Island, and Cowrie Island. Do you have a friend (or partner) who’s into the art scene? A visit to Canvas Boutique Hotel in Puerto Princesa, Palawan will definitely get his or her creative juices flowing, so gift him or her the Overnight Stay in a Deluxe Room for 2 Deal with Breakfast, Airport Transfers, and More. The beautifully designed hotel offers guests a visual feast with its signature architecture and interiors. As soon as you walk into the hotel lobby, you can’t miss the gorgeously painted wall murals. It’s like walking into and staying in an art gallery! 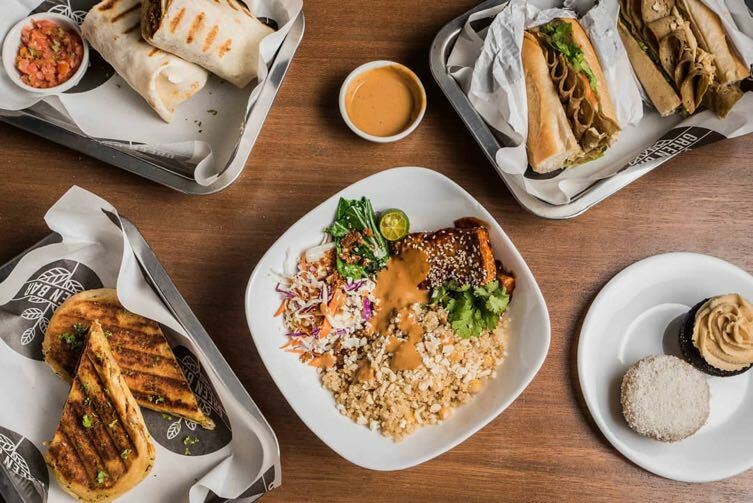 It’s also famous for its in-house Painted Table Restaurant, where food and art come together: It gives visitors a unique dining experience, as they enjoy home-cooked Filipino meals while sitting in communal tables that are uniquely designed by some of the country’s best street artists and muralists. 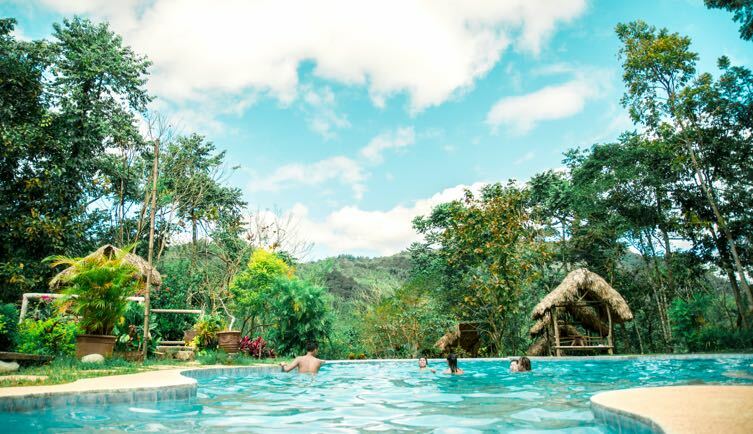 And while the art, food, and 20-meter lap pool might be enough to keep visitors entertained at the resort, there are more places around Puerto Princesa for indulging one’s affinity for art and culture. 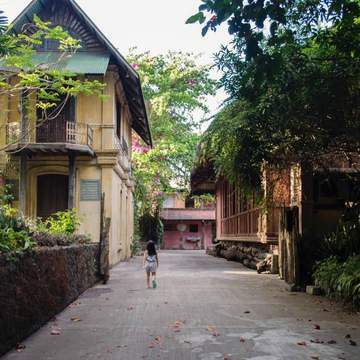 After all, Puerto Princesa isn’t only known for the Underground River or island-hopping; there are a lot of interesting places to visit within the city proper, like parks and museums. The hotel has partner tour operators who can arrange a city tour. 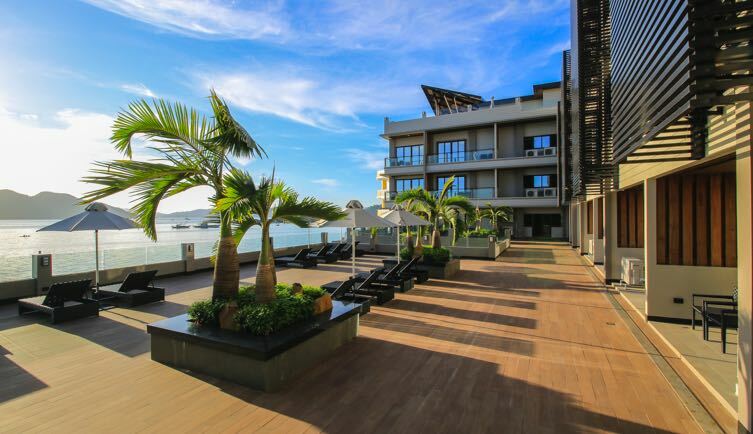 For all its new restrictions on partying, Boracay has always been known as a dynamic, fun-loving island, so a stay at one of the island’s hippest new spots, Savoy Hotel, would make the perfect gift to the special person in your life who likes the beach nightlife. 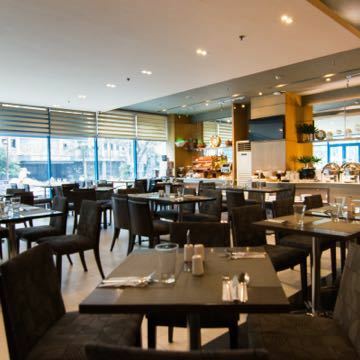 You may want to take advantage of this Premiere Deluxe Stay for 2 Deal that already includes breakfast buffet at Savoy Café, the hotel's urban all-day dining restaurant with air-conditioned and al fresco seating areas. Located in the 150-hectare township development that is Boracay Newcoast, the colorful and playfully-designed Savoy Hotel’s 500+ rooms offer the luxuries of a big city hotel and the best of both worlds: a more private and crowd-free beach escape and proximity to Boracay's party scene. A 10-minute walk from the hotel will lead you to Newcoast Beach, which is way more private than the popular White Beach, for when you just want to lounge. But when it’s time to hit Boracay's bars and nightclubs, the resort’s complimentary hourly shuttle rides to White Beach and D’Mall can easily take you there. Savoy Hotel also has a number of swimming pools, including a Party Pool, the country's first and only concert pool arena with an outdoor stage for live entertainment that can host the hottest events! Right by it is the Chambery Pool Bar, embedded in the huge main pool, which offers a good selection of reasonably-priced drinks. Another good place to hang out is its stylish Vienne Lobby Lounge with fun egg-shaped chairs hanging from the ceiling and post-modern furnishings. Any adventure-lover should plan a trip to the Gigantes and Sicogon Islands, a remote group of stunning islands in Iloilo known for its pristine beaches with gleaming white sands, overflowing seafood, and mystical folklore. There’s no better place to kick off the trip than Solina Beach & Nature Resort, so grab the Overnight Stay in a Higdaan Duwa for 2 with Breakfast deal. 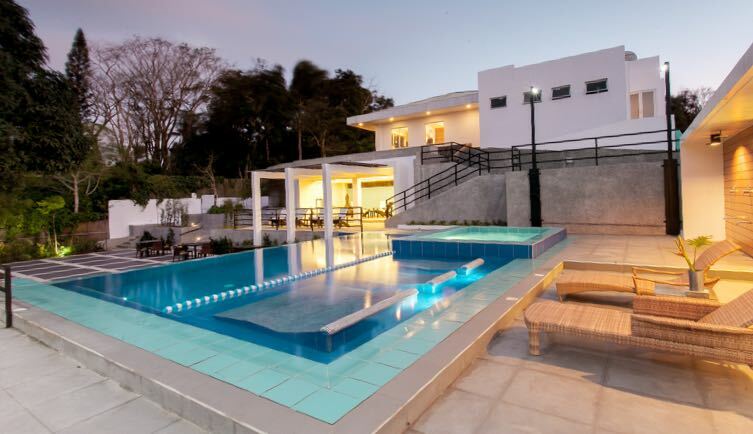 Located in the northeastern tip of Iloilo, this newly opened resort is the first and only stay in Carles that offers top-notch facilities for adventurous travelers who want luxury and comfort. Easily accessible from the Roxas City Domestic Airport, Iloilo International Airport, and the Bancal Port from where your Gigantes island-hopping tour begins, its unbeatable location and peerless accommodations make it an excellent choice for travelers who intend to explore Cabugao Gamay’s picture-perfect two-sided beach, the white sandbar of Antonia Beach, Pawikan and Bakwitan Caves’ rock formations, Tangke Saltwater Lagoon, and Bantigue Island’s shores where you can feast on delicious scallops and local shellfish wasay-wasay. Back at the vast resort, you can roam around on fat bikes that are free to use, frolic on the tranquil beach, or chill out in one of the hammocks under the trees. Also check out the resort bar’s tower top that has a telescope you can use to see nearby Sapatos Island and Olotayan Island. Cebu offers the best of both worlds: idyllic island life and a bustling metropolitan. So if you’re a city girl who wants to stay close to all its creature comforts while you vacation in one of the best beach destinations in the country—or if you happen to be dating one—the stunning Bluewater Maribago in Mactan is the kind of place you seek. Get her (or yourself) a 3D/2N in an Amuma Spa Suite for 2 deal with breakfast, transfers, and more, and you’re all set. Bluewater Maribago’s Amuma Spa is named after the Visayan word for “indulge,” and that’s exactly what you’ll do here. 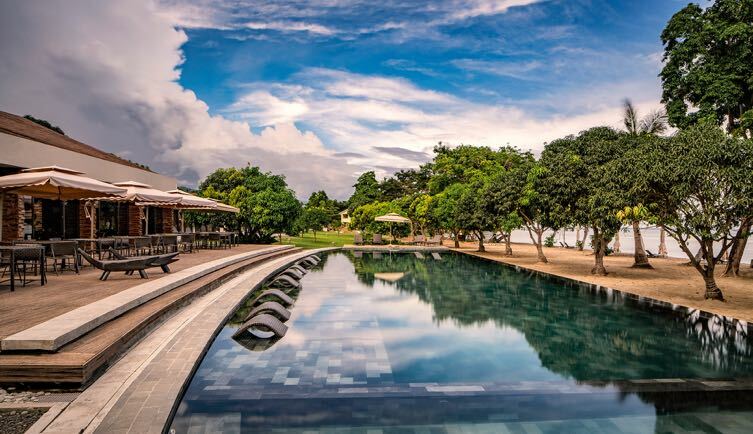 The tranquil space seamlessly fuses beautiful resort surroundings with native architecture, with rooms designed by renowned Antipolo-based furniture designer Benji Reyes. 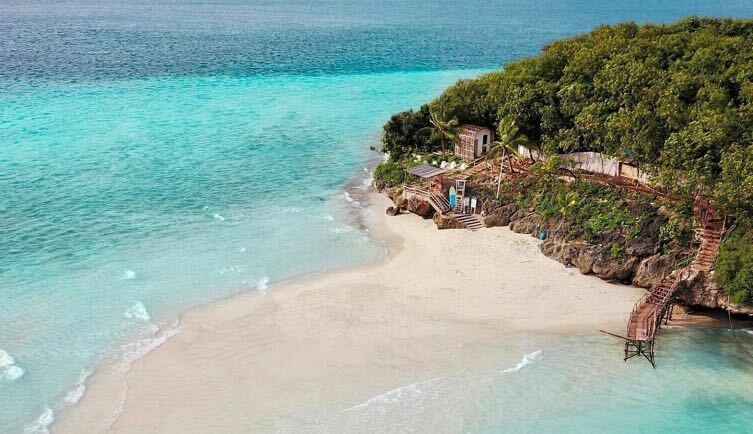 Beach bum to your heart’s content at over 100 meters of white sand lined with thatch huts and beach beds, the Bluewater Private Island that's just a few minutes away from the resort shores, or the resort's three picturesque lagoon pools. 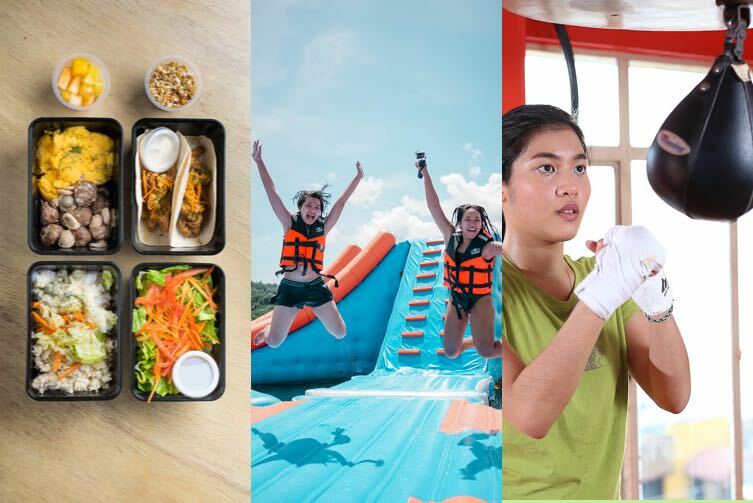 You'll have an itinerary of sights and activities to last days in the seven-hectare resort, which boasts of five in-house restaurants offering different cuisines and a fitness center to burn the calories you’ll likely gain from the trip. 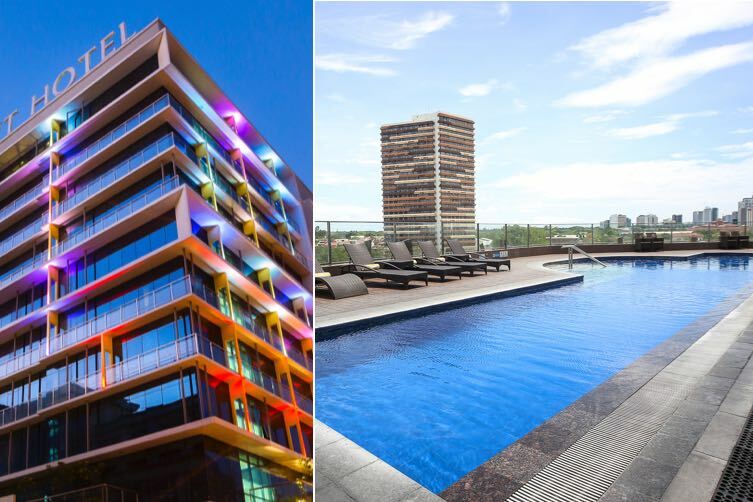 Should you feel like shopping, sightseeing, or hitting Cebu’s hip nightlife scene, the city is a short taxi ride away. If your man is the kind of traveler who prefers to see places that offer unique experiences rather than merely hit “another beach” or tour “yet another city,” this Bluewater Sumilon Island Resort Deal just might pique his interest. 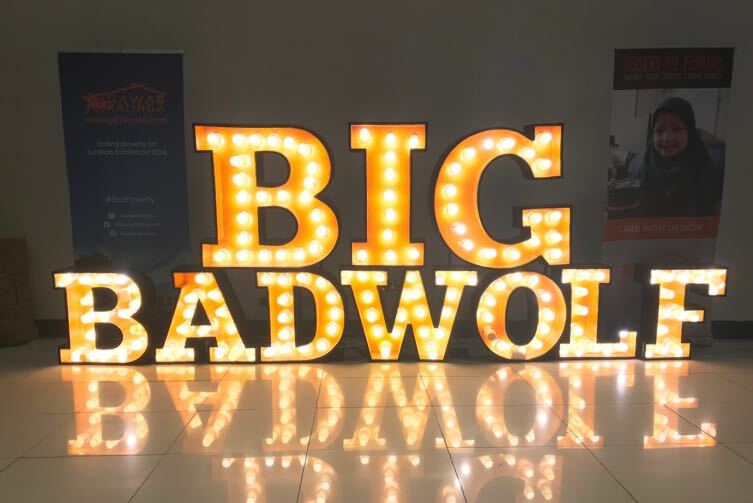 It includes a 3D/2N Stay in a Classy Deluxe Room for 2 with a resort voucher for other activities you may want to try and the ultimate deal-maker: Whale Shark Experience! Nothing can ever compare to an encounter with majestic Whale Sharks, the biggest sharks on the planet that are actually harmless to humans. You and your beau can watch them from your boat or go ahead and dive right into the water to swim with them! 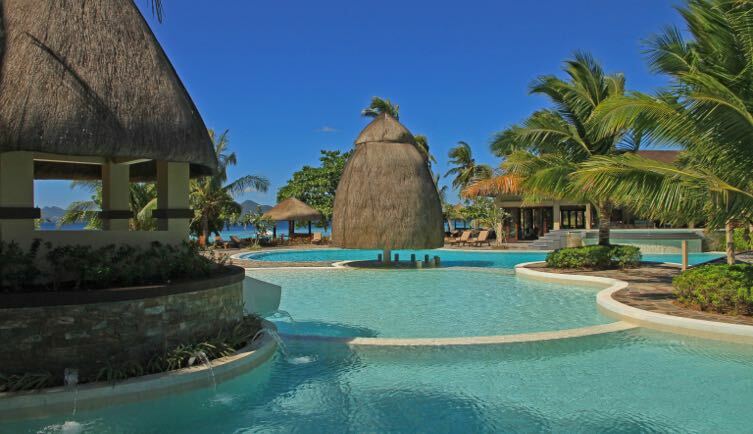 The resort will take care of making arrangements and taking you off the coast of Oslob town where the whale sharks swim. 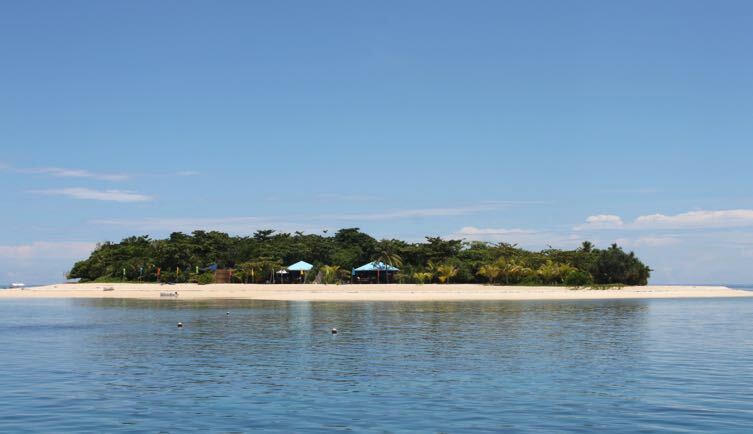 And while that may be the highlight of your trip, there’s more to enjoy at the resort, which is located near Cebu’s famous Sumilon sandbar. Its white sand beach is flanked by a lake and a cliffside you can trek. 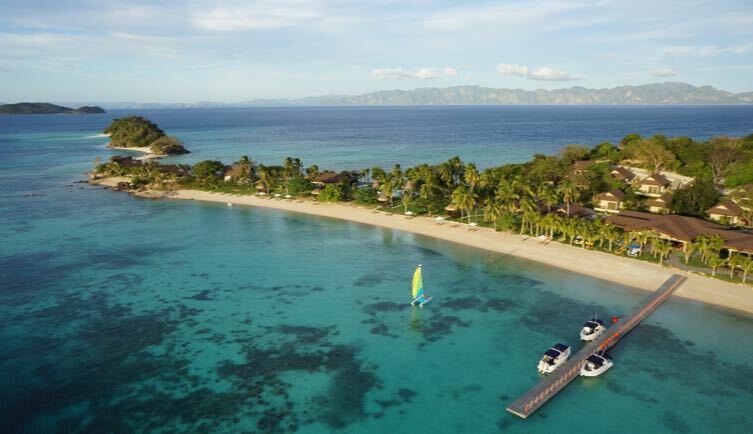 Snorkeling or kayaking on the ocean or the lagoon are also available to you. 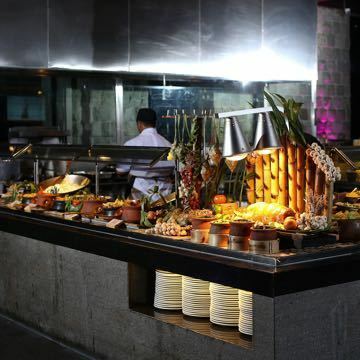 Enjoy the breakfast and dinner that comes with your stay at The Pavilion, the resort’s main restaurant with panoramic views of Cebu, then perhaps grab drinks at The Cliff Bar, which offers an elevated vista of the resort’s surroundings. A beach getaway doesn’t always need to involve island-hopping activities or encounters with sea creatures. Sometimes, all you want is to just kick back on a beach bed and start early with an ice-cold beer while you sunbathe and admire the ocean until sunset—every day, for a few days. 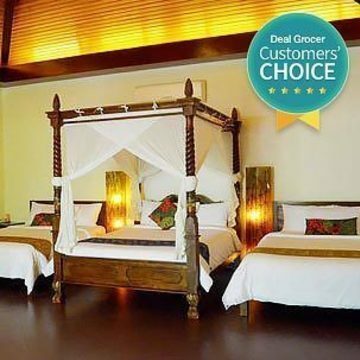 So why not check in at Bluewater Panglao Beach Resort with the 3D/2N in a Premier Deluxe Room for 2 deal? 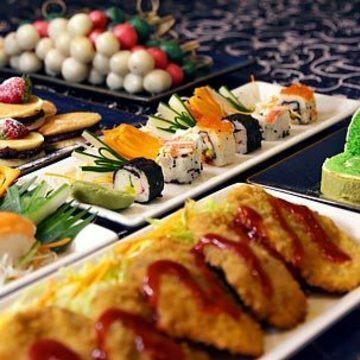 It already comes with breakfast, transfers, spa voucher, and one-time lunch for 2! 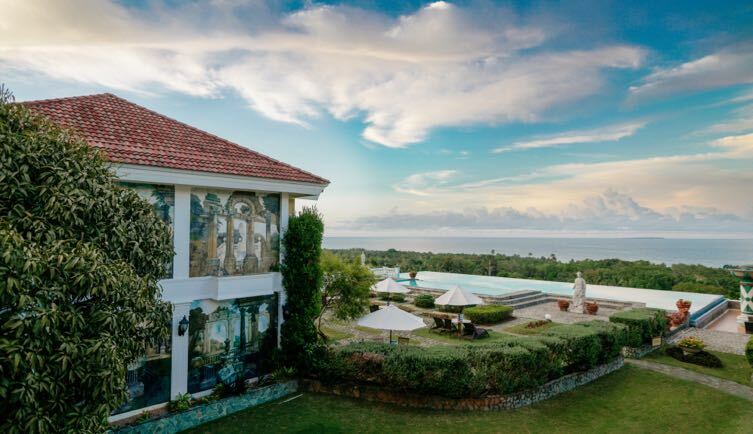 Ah, finally, the answer to “What can I give my beloved parents?” We strongly recommend booking them a 3D/2N Stay in a Deluxe Sea View Room at The Peacock Garden in Bohol—the deal already comes with breakfast, transfers, and more. 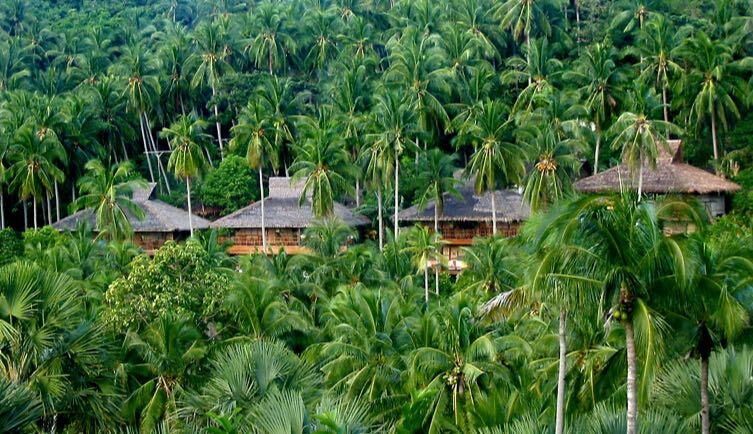 Located on a secluded hilltop in Baclayon town, this luxury boutique hotel is perfect for travelers who want a quiet retreat. 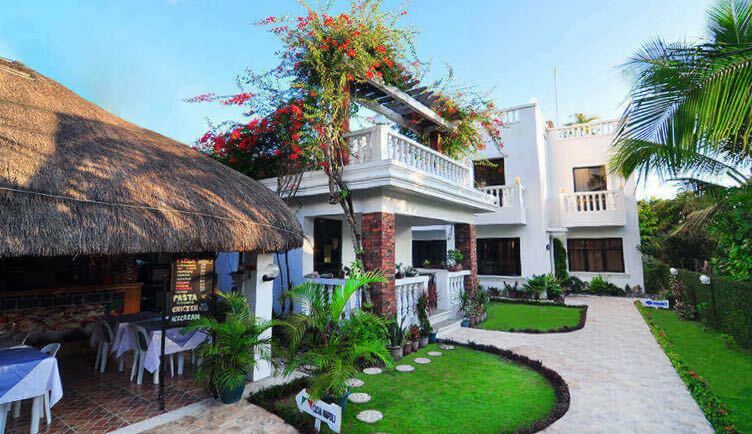 Your parents will likely appreciate how it melds European Old World charm with Filipino hospitality, making it a consistent TripAdvisor Travelers’ Choice Awardee and securing its reputation as the best resort in Bohol. 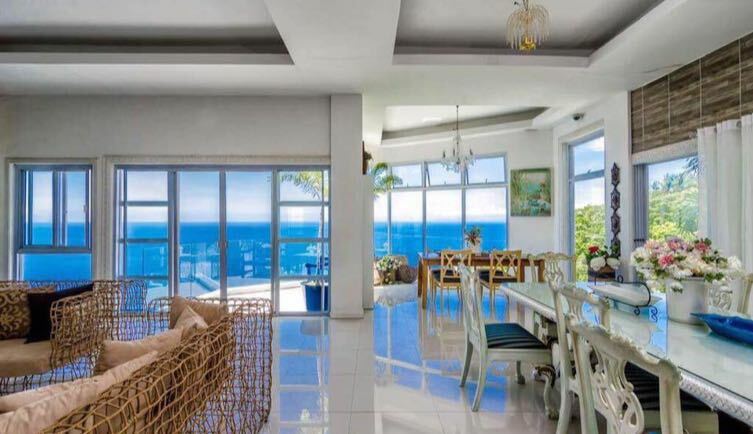 Here they can enjoy a leisurely stroll in the garden, take a breather by the famous infinity pool facing Bohol Sea, wine and dine al fresco at Laya Restaurant, or simply revel in the gorgeous view of the sea from the large windows of their lavish room fitted with custom furniture crafted in Cebu. The lobby itself is a museum of sorts, where they’ll likely enjoy viewing the collection of picture postcards dating back to the 1900s. It even has on display a settee previously used by National Hero Jose Rizal while studying ophthalmology in Heidelberg! 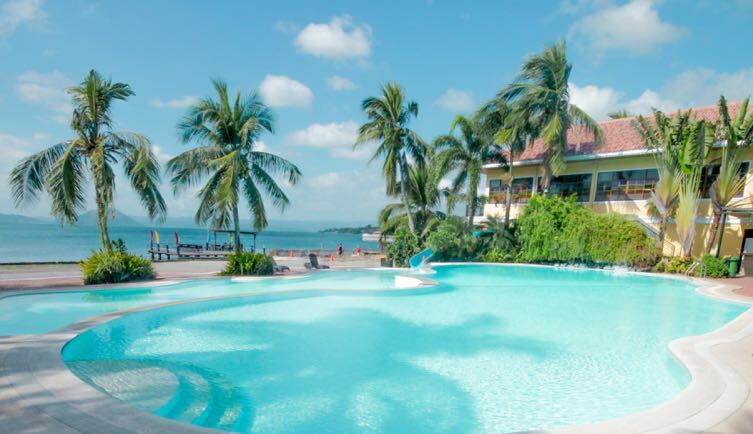 You wouldn’t need to worry about your parents, as they’ll be welcomed by the hotel staff at the Tagbilaran Airport, which is just 10KM away, and escorted directly to the resort. It’s also only 15 minutes away from Tagbilaran City and near several tourist attractions on the island, like the world-renowned Chocolate Hills, The Philippine Tarsier and Wildlife Sanctuary, the Loboc River lunch cruise, and the 16th century Baclayon Church, one of the oldest churches in the Philippines. 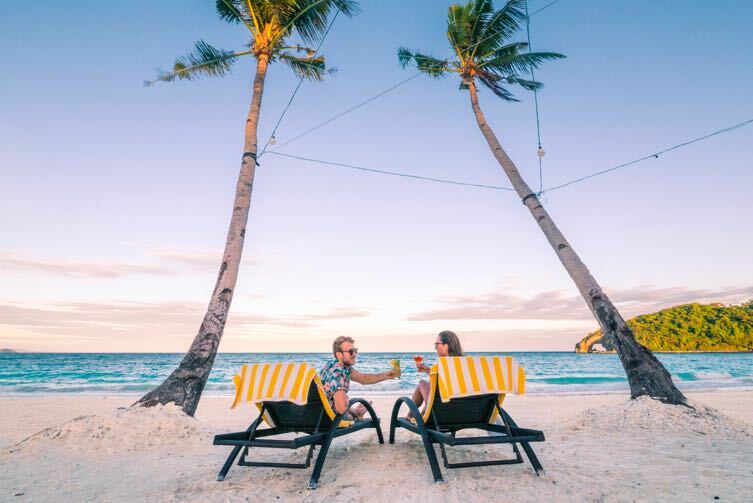 Whether you’re newlyweds who postponed your European honeymoon for a few months to a year, a married couple who would like to fly off to an island paradise for their 2019 anniversary, or just perpetual honeymooners, you should consider vacationing at Eskaya Beach Resort & Spa in Bohol. A private and tranquil space with world-class amenities, it's the perfect place to stow away with your partner to spend quality time. This holiday season, surprise your significant other with a deal for a 3D/2N Stay in a Deluxe Villa for 2 that you can use in 2019, which includes breakfast and more. 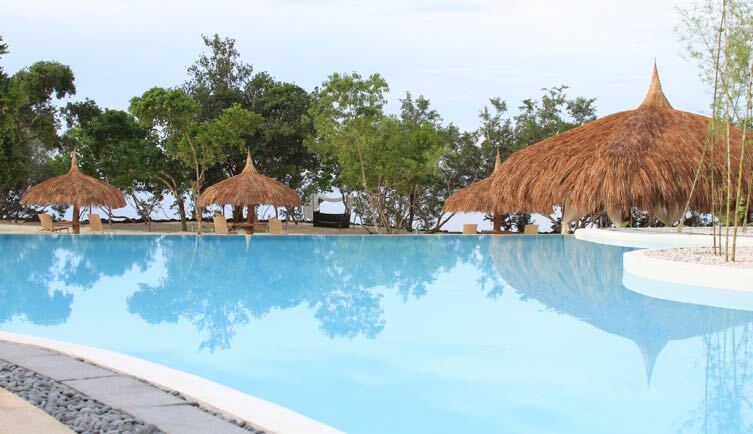 Eskaya Beach Resort and Spa is a 16-hectare luxury resort facing the Bohol Sea at the southern tip of one of the Philippines’ most popular beach and diving destinations. 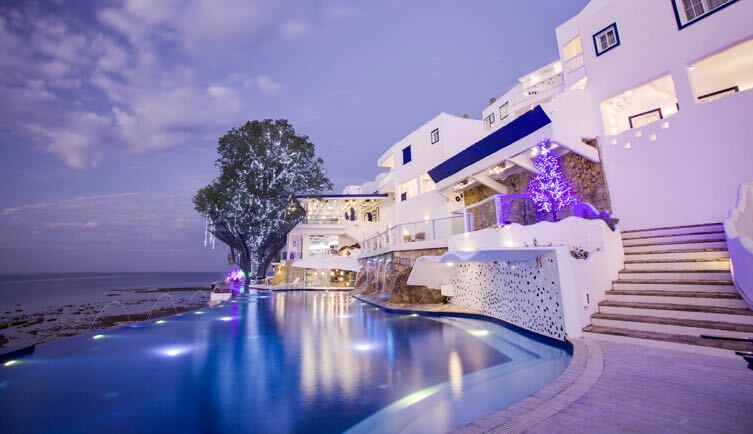 Whether you’re looking for a romantic escape or a memorable adventure together, there’s something for you at this 5-star Panglao resort: Lie down on the fine sand, take a dip in the calm sea, and enjoy delectable food. Engage each other in some competition over Ping-Pong, chess, or Scrabble. Fancy some water-based thrills? 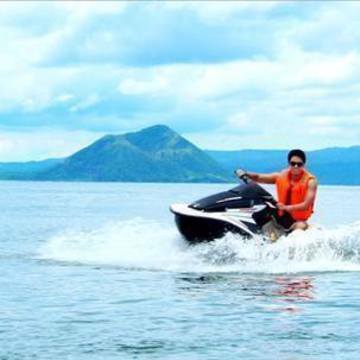 Jet-skiing, kayaking, and scuba diving rentals are also available at the resort. Visit one of Bohol’s best diving spots, Balicasag Island, which is home to some of the richest and most diverse marine life in the country. At the end of the day, let experienced massage therapists soothe your tired and aching muscles at the spa, with just the sound of soft music, waves, and the breeze surrounding the two of you. View the entire collection here and start checking off your 2019 Travel Bucket List!